California Gov. Arnold Schwarzenegger and British Prime Minister Tony Blair have announced plans of creating a new Trans-Atlantic market for greenhouse gases, in their joint fight against global warming. Green Technologies will get a boost as they set a cap for carbon dioxide emissions and reward businesses that profitably minimize them. Want to learn more about "Greentech"? Power blackouts have impact on energy prices - are renewable energy stocks next? With the recent power blackout in New York and California urging people to conserve energy to avoid blackouts, natural gas prices have spiked. The continued heat waves are putting pressure on the grid systems and traditional energy sources - natural gas and oil and gas are rising. Looking back to 2003 with the major power grid failure, interest in renewable energy stocks was immediate. That has not happened in a significant way yet, as the power outages so far have been isolated to specific areas. On August 14th 2003 50 million Americans were effected with the largest blackout in American history. The blackout incited an interest in renewable energy stocks that was not sustained long term, but was the beginning of what we saw at our site, of the sector having a more mainstream following by retail investors. Shares of renewable energy public companies posted some of the biggest gains on the NASDAQ the Friday following the blackout. With renewable energy stocks gaining new , broader interest this year and reaching highs in April and May and then softening - the question is - will the power blackouts fuel renewed life into the renewable energy sector? how the serious problem of pollution has created business opportunities for their respective sectors. The All China Environment Federation (ACEF) was launched in Beijing in 2005, receiving backing from high-level government officials as part of a movement to show that China is becoming very serious about the environmental damage and repercussions of the rapid economic growth. It’s receiving global support as evidenced by The World Bank loan of $668 million to the People's Republic of China to support projects to address environmental problems and developing transport infrastructure. China may be positioning to change its global image from environmental disasters to an environmental leader, as it was recently recognized as the world leading investor in renewable energy. In order to pave the road to change, China is changing policy and legal framework to incite investment and innovation in technology. China has set a target of twenty percent of its power to come from renewable sources by 2020. That kind of aggressive strategy sets the stage for renewable energy companies to participate in the anticipated growth in wind, solar and energy efficient technologies. Wind energy technology is on the rise and China's largest wind electric power generator manufacturer, Goldwind Science and Technology Co. Ltd., is currently pursuing a U.S. IPO, following on the tracks of several renewable IPO’s. The company plans to go public to finance its anticipated substantial growth as China demands green energy solutions as evidenced by its 6 billion U.S. investment in renewable energy in 2005. Chinese officials have announced plans for the country's first energy "basic law" passed by the legislature in two years with a goal of reducing national energy consumption by 20 percent from 2006 to 2010 and creating an energy-efficient and environmentally friendly society. The law would encourage domestic energy exploration and international energy cooperation, optimize energy reserves and emergency response systems, scaling and development of renewable and new energies and enhance energy efficiency. The China Environment Fund, http://www.cefund.com/, a leading VC fund in sustainable investment in China is investing in energy efficiency, solar and bio-diesel. Recent news in China including the toxic spill into the Desha River have made China's officials and global leaders take action into addressing the urgent environmental and water issues. It’s currently estimated that 300 million people, representing one-quarter the population, drink unsafe, water. Additionally, only one third of the 3.7 billion tons of wastewater discharged is treated. China is taking steps to create law and regulation to address critical water issues including recently ratifying an international treaty to preserve the marine environment and prevent pollution on the high seas. Global funding to address water problems has been approved by the World Bank. The World Bank's Board of Executive Directors recently announced loans of $668 million to the People's Republic of China in support of four projects to address environmental problems including water treatment and waste treatment. In terms of air pollution, according to a 2006 report by the World Watch Institute, China is home to 16 of the 20 cities with the most polluted air in the world. If you survey any average person on the street that saw Julia Roberts play Erin Brockovich, they can make the instant connection that industrial water pollution can cause multiple forms of cancer. It’s no different in China, but the problem is multiplied beyond anything North America has experienced. Last November, for example, a factory explosion resulted in benzene, a cancer-causing chemical linked to forms of leukemia, to run into the Songhua River, effecting millions of people in northeast China. More recently, the Dasha River was contaminated when a truck overturned dumping in 60 tons of potentially carcinogenic coal tar. Bridgetech Holdings International, Inc (BGTH:OTCBB), a medical and healthcare company sees China's environmental situation creating a major impact on the country's healthcare, as well as influencing the product mix their company is bringing to the Chinese market. At present, Bridgetech is very encouraged by developments in China's regulatory system. The government's moves to protect intellectual property and to stem the favoritism and traditional practices in China's product distribution system hold much promise for Bridgetech's future because they will allow the company to introduce the very best in foreign technology with less fear that technology might be unfairly appropriated and because the company will be able to apply professional business practices to more effectively distribute its products throughout China. Faced by the demands of a evolving healthcare system and challenged by sudden changes in the nation's epidemiological profile, China's State Food and Drug Administration recognizes the need to supplement its domestic pharmaceutical industry with foreign medications and is proving a fast track to approval for medications that have undergone the approval process of other regulatory agencies such as the U.S. Food and Drug Administration. This is another positive development for Bridgetech because these are exactly the types of medications the company is seeking approval for. We often hear and use the expression "follow the money" to watch and understand industry trends. In China, it's a case of "smell the water and the air” to understand what is needed and where the money should be going in China. Ironically, information on disasters and health crises may not always be available to the public if the Chinese government has its way, based on newly drafted legislation that will allow them to fine newspapers up to $12,000 if they report on these types of emergencies without first getting permission. Consumers in China are readily embracing the environmental movement as evidenced by recent info released by Greenpeace International stating that their surveys showed Chinese consumers were prepared to pay more for environmentally friendly PCs than any other country. It's a step towards the ultimate goal of creating balance and harmony with technology and the environment. The environmental race is one that China cannot afford to loose and based on recent news, they are making serious efforts to repair the damage of the past and find solutions for the future. The question remains – are they moving fast enough? The outcome of the balancing act of managing rapid economic growth and the environmental concerns will impact the world for generations to come as the pollution moves outside of China’s borders. China-AsiaStocks.com (CAS), a portal within the InvestorIdeas.com content umbrella, does not make recommendations, but offers investors research, news and links to public companies within the China-Asia sector. www.RenewableEnergyStocks.com™ (RES), www.EnvironmentStocks.com (ES) and www.water-stocks.com (WS) offer investors research, news, interviews, articles, blogs and links to public companies within the renewable energy, clean tech and water sectors. We provide a variety of renewable and green content through: Clean Energy News Blog, Renewable Energy Blog and articles by solar expert, J. Peter Lynch, all available on RenewableEnergyStocks.com™ Disclaimer: Portals are compensated by Featured advertising companies. Julia Roberts will become a spokesperson for Earth Biofuels, Inc.
Earth Biofuels, Inc. (OTC Bulletin Board: EBOF ) announced that actress Julia Roberts will become a spokesperson for the company and will chair the company's newly formed Advisory Board. Ms. Roberts joins fellow Oscar-winner Morgan Freeman and country music legend Willie Nelson in promoting the use of renewable fuels such as Earth Biofuels' biodiesel and ethanol. "It's very important that we expand our use of clean energy and make a long-term commitment to it," Roberts said. "Biodiesel and ethanol are better for the environment and for the air we breathe." POINT ROBERTS, WA and DELTA, BC- Green technology investor portals www.RenewableEnergyStocks.com, www.GreenTechInvestor.com and www.EnvironmentStocks.com provide investors and industry following the green and renewable energy investing trends, with due diligence tools to make long term investment decisions. The green stock sector of wind, solar, ethanol and environmentally friendly public companies, fuelled by The President's "Addiction to Oil" speech, has seen recent volatility following its highs in April and May. Moving forward, renewable energy companies in the sector such as XsunX, ZAP, Alchemy Enterprises and Encore Clean Energy, focus on long term growth opportunities as market drivers continue.As Jonathan Read, CEO of alternative energy company Alchemy Enterprises, Ltd. (OTC BB:ACHM.OB - News) explains, "The high cost of energy and the need to secure our own energy independence has placed a priority on the need for clean, re-usable sources of power and fuel that are also safe for the environment. The industry has responded to these critical needs through the continued development of innovative technology that companies such as Alchemy are developing to create safe 'green' energy alternatives. As investors and industry participants align, renewable energy technology will play an ever increasing role in our energy future." "All roads lead to renewable energy technologies," says Steve Schneider, CEO of automotive pioneer ZAP (Pacific:ZP - News). "We stand at a turning point where government, industry and private individuals are now demanding more fuel-efficient transportation. This is why ZAP is positioning itself along with RenewableEnergyStocks.com at the convergence of many different technologies being introduced into the auto industry. Renewable energy will be the primary fuels for the vehicles ZAP is introducing, including electric, ethanol, high-efficiency drivetrains and other technologies." The portals also provide a variety of renewable and green content through: Directory of Stocks, News Feeds, Articles and Interviews, Clean Energy News Blog, Renewable Energy Blog and articles by solar expert, J. Peter Lynch, all available on RenewableEnergyStocks.com(TM). RenewableEnergyStocks.com created "The Ultimate Green Tech Investor Virtual Stock Trading Contest" -- (register now at www.GreenTechInvestor.com) giving investors a chance to win a ZAP electric car or electric scooter as well as gain a valuable education on green technology. Tom Djokovich, CEO of XsunX, Inc. (OTC BB:XSNX.OB - News), adds, "Anticipated increases in the demand for oil, estimated at over 2% annually for the foreseeable future, makes the transition to the use of renewables inevitable. Programs such as this contest are valuable in that they help to raise public awareness, which is the first step in adopting new ways of creating and utilizing energy." 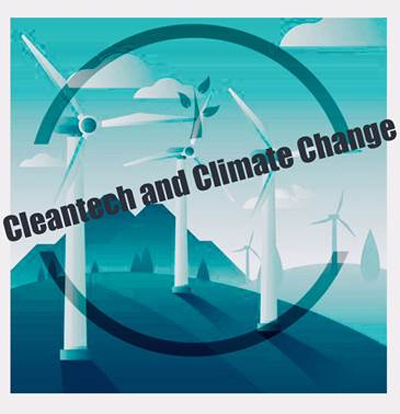 The Green Tech Investor Contest is also supported by RenewableEnergyStocks.com featured clean energy companies such as XsunX, Inc. (OTC BB:XSNX.OB - News), provider of technologies for solar energy infrastructure; Encore Clean Energy (Other OTC:ECLN.PK - News), developer of clean energy technologies; and Alchemy Enterprises, Ltd. (OTC BB:ACHM.OB - News), developer of electric power cell technology. The contest, which officially started June 19th, gives investors $200,000 in virtual dollars to invest in green companies of choice from a list provided by RenewableEnergyStocks.com. Current sponsors and prizes include a ZAP® (Pacific:ZP - News) www.zapworld.com Electric Car, and Electric Scooter, plus prizes from MicrocapTrade www.MicrocapTrade.com, Energy Hedge Fund Center LLC www.energyhedgefunds.com and eco friendly children's products, Wild Heart Ranch www.WildHeartRanch.com. www.RenewableEnergyStocks.com (TM) (RES), www.EnvironmentStocks.com (ES) and www.FuelCellCarNews.com (FCCN) are portals within the InvestorIdeas.com(TM) content umbrella. Our sites do not make recommendations, but offer investors research, news, interviews, articles, blogs and links to public companies within the renewable energy, clean tech and fuel cell sectors. ADVERTISEMENT Disclaimer: Portals are compensated by Featured advertising companies as disclosed in disclaimer below. Virtuelle Trading-Herausforderung der Grünenergieaktien - Sind Sie der endgültige Grüntechnologie-Anleger? RenewableEnergyStocks.com und GreenTechInvestor.com geben Ihnen die Chance, Solar-, Wind-, Äthanol- und Alternativenergieaktien zu handeln und mit einem ZAP elektrischen Auto wegzufahren. POINT ROBERTS, Wash., Delta, B.C., – Die Portale der Grüntechnologieanleger http://www.renewableenergystocks.com/ und http://www.greentechinvestor.com/ presentieren “der endgültiger virtueller Aktienhandelswettbewerb der Grüntechnologie-Anleger” – eine Chance, entweder einen ZAP elektrischen Auto oder einen electrischen Roller und eine wertvolle Ausbildung in Grüntechnologie über dem Verlauf vom virtuellen Trading-Wettbewerb dieses Sommers zu gewinnen. Gegenwärtige Sponsoren und Preise schließen einen ZAP® http://www.zapworld.com/ (NYSE Arca:ZP) electrischen Auto, einen elektrischen Roller und Preise aus MicrocapTrade http://www.microcaptrade.com/ und Energy Hedge Fund Center LLC http://energyhedgefunds.com/ ein. Der Anleger beginnt mit dem Wettbewerb mit $200.000 in virtuellen Dollars, um in ausgewählte Grüngesellschaften aus einer von RenewableEnergyStocks.com gelieferten Liste zu investieren. Die gegenwärtige Aktienliste enthält einen Querschnitt von Aktiengesellschaften, die bei OTC, AMEX, Nasdaq, NYSE und auch TSX aufgelisted sind. Der endgültige virtueller Aktienhandelswettbewerb der Grüntechnologie-Anleger - eine Chance, ein elektrisches Auto und andere große Preise zu gewinnen! Gebracht zu Ihnen von InvestorIdeas.com, RenewableEnergyStocks.com, EnvironmentStocks.com, FuelCellCarNews.com und unsere Sponsoren. RenewableEnergyStocks.com, FuelCellCarNews.com und EnvironmentStocks.com sind Portale innerhalb des InvestorIdeas.com Inhaltsschirms. Unsere Seiten machen keine Empfehlungen, aber bietet Anlegern Forschung, Nachrichten und Verbindungen zu Aktiengesellschaften innerhalb der erneuerbaren Energie und der grünen Sektoren an. Wir liefern eine Vielfalt von erneuerbarem und grünem Inhalt durch das Blog über Saubere Energienachrichten (http://www.cleanenergynews.blogspot.com/), das Blog über die Erneuerbare Energie (http://www.renewableenergystocks.blogspot.com/) und Artikeln vom Solarexpert J.Peter Lynch (www.renewableenergystocks.com/PL/). Who are the top five leaders for the Ultimate Green Technology Investor contest? The Ultimate Green Tech Investor Virtual Stock Trading Contest - a chance to win an electric car and other great prizes! Brought to you by InvestorIdeas.com™, RenewableEnergyStocks.com™ and EnvironmentStocks.com, FuelCellCarNews.com and our sponsors.